Candles come in so many shapes, sizes and smells, you can never have one too many! 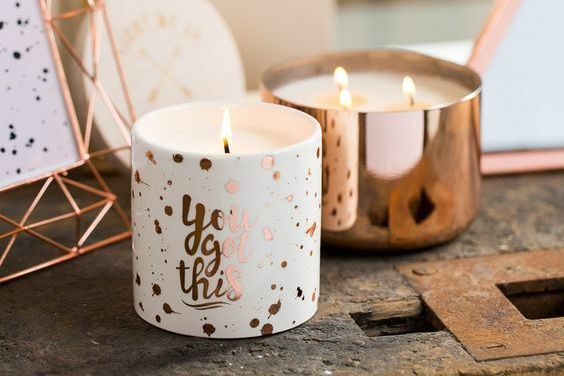 Let’s face it, candles are pretty versatile and should become a necessity in every house.Not only to they do beautify your room, the scents they give off when lit will soothe your frazzled nerves and can freshen up any room almost immediately. Plus, candles come in super handy if you are planning a romantic night in (if you know what I mean). We waded through the tons of options out there and chose some of the more interesting scents that will make your house smell absolutely scent-sational. 1. 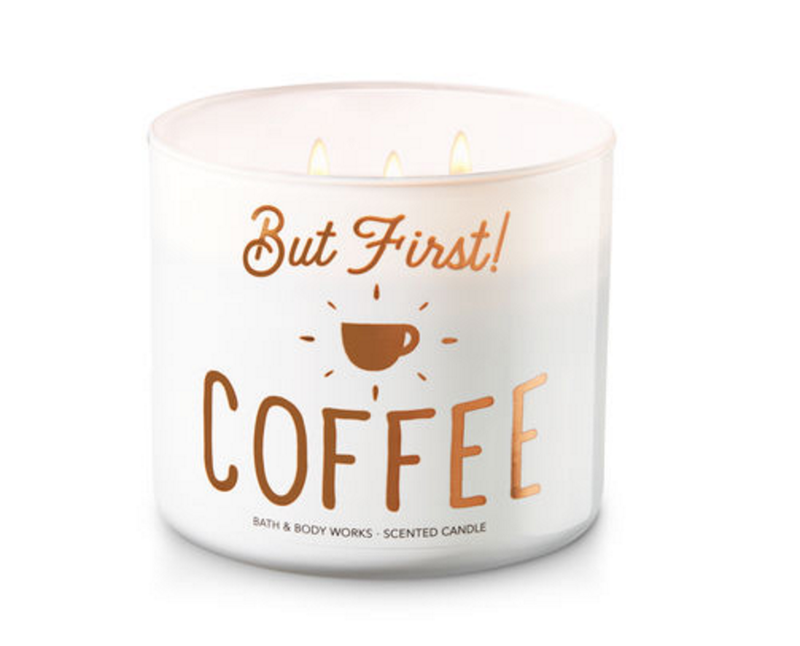 Bath & Body Works – But First, Coffee! Aside from their seasonal candles (mmm, Pumpkin Spice Waffles anybody? ), Bath & Body Works has year-round collection of aromatic smells for any occasion. While the vanilla, marshmallows and Japanese cherry blossoms are my constant favorites, the coffee scent ultimately caught my eye. Want your house smelling like freshly brewed coffee all day? But First, Coffee! is your solution! Plus it comes in an adorable candle holder reminding you that coffee is the best thing to chase away the morning blues. 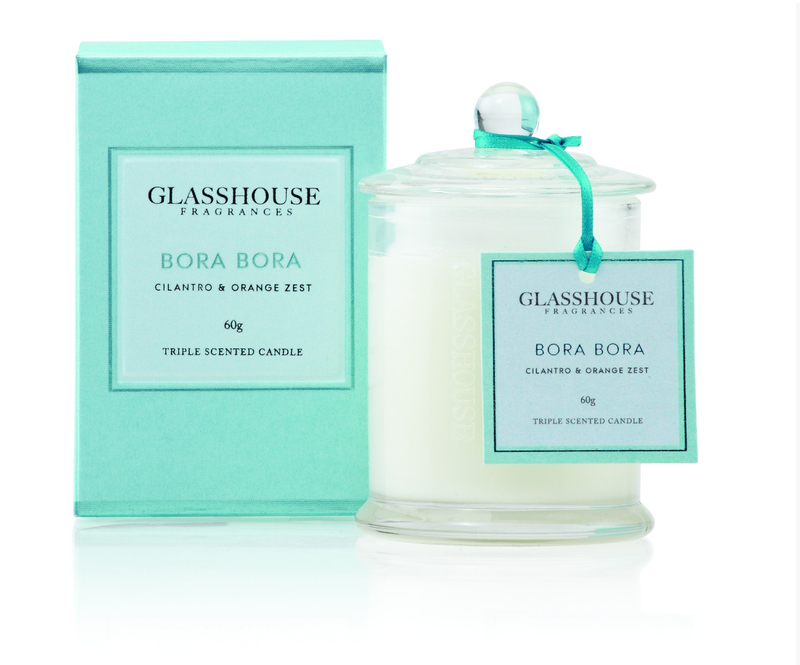 Revel in the smells of thatched bungalows and the salty sea breeze with Glasshouse‘s tropical scent. The flowery yet tangy smells courtesy of cilantro, tangerine and orange blossoms will leave you with the thoughts of clear sandy beaches when you are actually in a hot and stuffy HDB flat. fresh is known for their skincare range, which boasts natural ingredients like rose, black tea and soy. What you probably didn’t know that fresh also has perfumes and candles to complete their signature ingredients range and more. The one scent that stood out to us was the Sake candle. It won’t make your house smell like alcohol; rather it fills your room with a gentle, sensual blend of rice, peach nectar, mandarin and Chinese osmanthus. If you find the rest of the Sake range a bit too overpowering, you might still want to give the candle a try as the fragrance is more subtle and soothing. This candle is on the pricier side, but will be worth every cent. The Citronella Candle caught my nose with its grassy, floral smell that reminds me of the clean smell of wet grass. Not only is citronella said to help reduce stress when used in aromatherapy, it also works as a mosquito repellent! Perfect for our tropical weather. 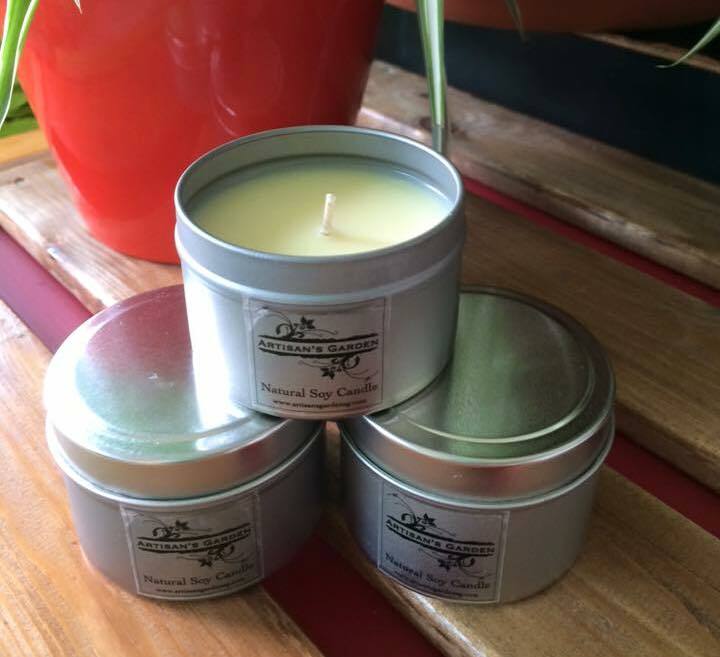 Artisan’s Garden sells the this candle in a small travel tin so that you can easily carry it around if you are thinking of going camping or traveling to tropical countries. From large candles to petite tins, you’ll be able to find candles of every scent and size here! I love WoodWick candles because they use a wooden wick so you can hear the sound of crackling fire as it burns. 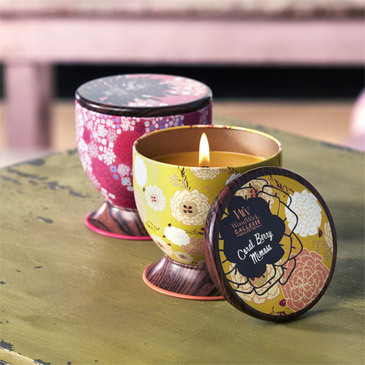 Their Gallerie range comes in pretty wooden cups that designed to brighten up your room, and I especially loved the Raspberry Yuzu scent with its fresh, tangy fragrance to chase away the musty, humid air. Once you’re done with your candle, turn your candle holder into a trinket holder. WoodWick candles are rather affordable, and if that still isn’t a deal breaker for you, they also have a featured Scents of the Month, where you’ll get 20% of selected scents. Unfortunately, this discount only applies for online buys. Yes, this is the same beauty brand that you find in Sephora. 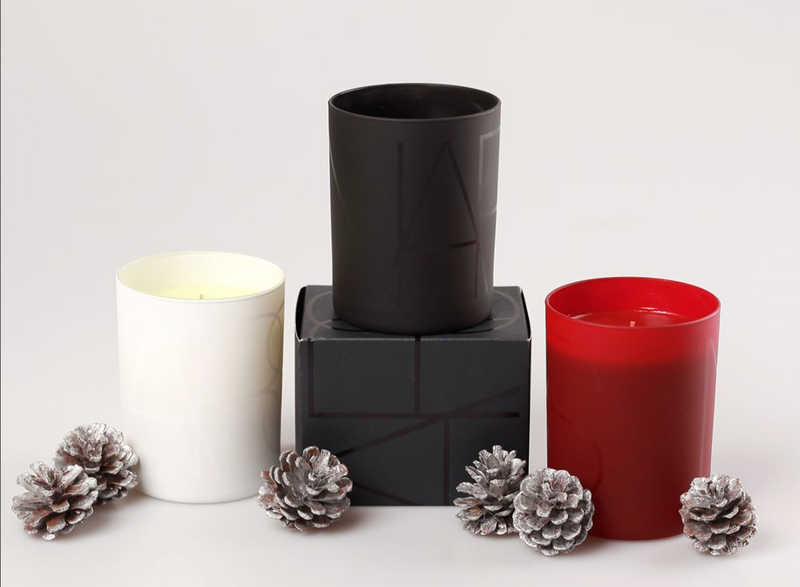 Not many people are aware that NARS carry candles (mainly because they don’t bring it to Singapore), which you have to buy through the NARS US website or Amazon. And yes, the shipping fee is definitely worth it, because the candles can seriously compete with their make up range. My pick would be Acapulco, a chocolate-based candle that comes layered with traces of whipped cream and coffee beans. It’s delicious, but not overly sweet – kind of like dark chocolate. Another underrated candle from a brand that specialises in selling something else! If you love the smell of your TWG tea, you can now get their candle version so that you can enjoy the delicious smells without having to brew a pot. 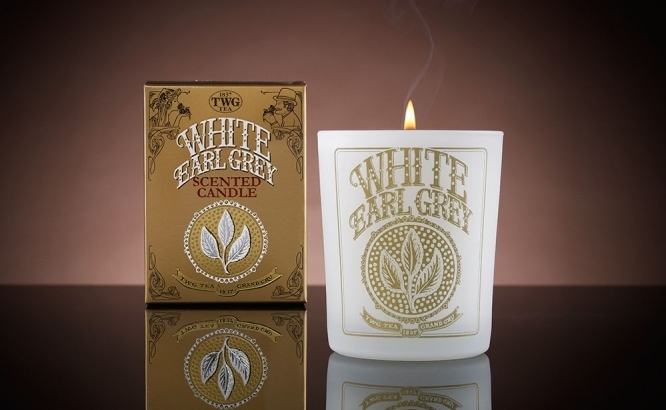 Their White Earl Grey Tea Scented Candle is a fresh, raw fragrance of bergamot and imperial silver needles that smells as good as it tastes. Celebriscents proffers a whole range of fragrances, but we are loving their alcoholic choices. 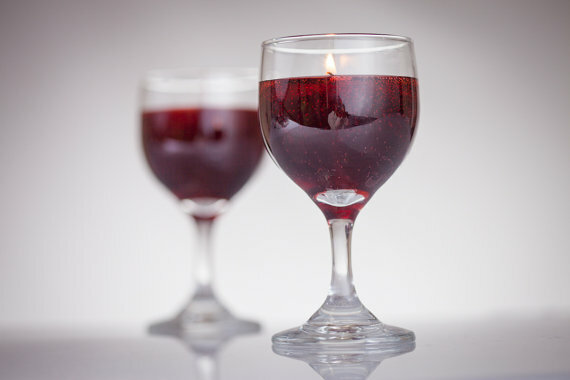 From beer to cocktails, you can choose for your candle to come in a cup shaped like a wineglass. The Merlot Wine comes in a wine glass, and colored just like the burgundy wine, with a fruity, musty smell that is a perfect ending touch for a romantic night in. If you don’t like the smell of alcohol, they have an interesting Spicy Orange And Hot Peppers Scent and Marijuanna-Weed Scent that you will be hard pressed to find anywhere else. If you don’t have a candle collection, it’s time to start one now! Not only will candles up your room’s aesthetics, they can also be used to soothe your frazzled nerves. Plus they smell good.